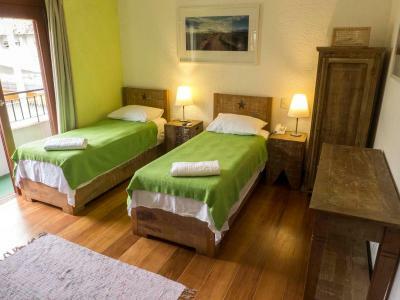 Lock in a great price for Pousada Casa da Lagoa – rated 9.4 by recent guests! 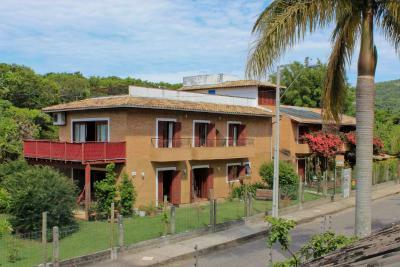 Large rooms at a great location, only a couple of minutes from all the restaurants and shops. 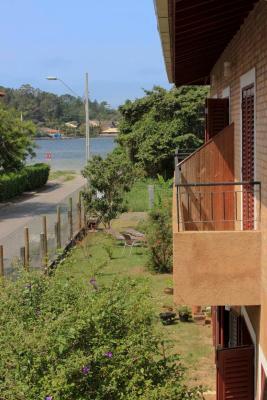 We even had a view on the Lagoa from the balcony. The owners gave us great tips every day about restaurants to visit and places to go. Without them, we would never have known how to get to the most spectacular beaches in the area or what to explore on a sunburned day! Hospitality, and well speaking english. Good quite location, just two blocks from the centre. Good breakfast. Very personal touch by owners. A very nice couple, both speaking very well english, always ready for their guests. The location is great, near the water, near the center ...A pity I could only stay two nights. I know where to back when in the region ! 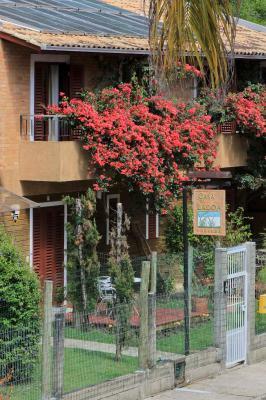 Nice, family-run guesthouse close to the lagoa. 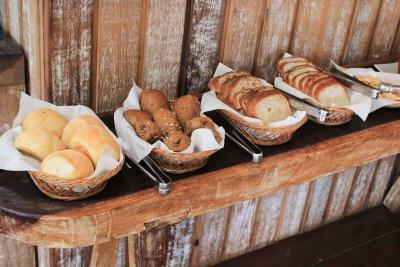 Great breakfast selection. A Laura, proprietária é uma querida, me senti em casa na pousada. Acabei curtindo muito pouco em função do trabalho, mas adorei o local. Nossa estadia foi muito confortável. O hosts são extremamente atenciosos e fazem com que você se sinta em casa. O custo benefício é fantástico. E a localização excelente, perto do centrinho da Lagoa, onde há vários restaurantes, ao mesmo tempo em um rua tranquila. I really recommend. Localização perfeita, muito próxima ao centrinho da Lagoa, em uma rua tranquila e silenciosa. Quarto familiar é bem amplo e confortável, com todas as comodidades necessárias. A Laura e o Cristopher são extremamente gentis, simpáticos e muito solícitos! O quarto e o banheiro são excelentes. O quarto é super confortável, criando um ambiente super acolhedor. 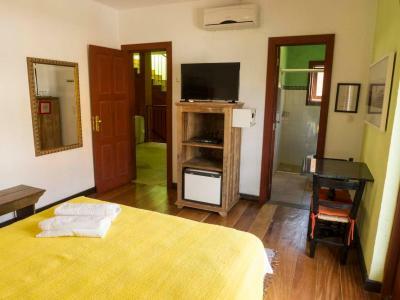 A Pousada é como se fosse a extensão da sua casa. Isso mesmo, você se sente com se estivesse em casa. Os proprietários são super gentis, prestativos e fazem de tudo para você se sentir à vontade. Estadia maravilhosa. Gostamos muito do atendimento e da recepção, A Laura e o Cristopher foram sempre muito gentis e acolhedores. A localização também é otima, perto do centrinho, mas num bairro tranquilo e muito calmo. Logo atende bem quem gosta de tranquilidade, mas gosta de ficar perto dos principais restaurantes, bares e etc. O quarto que ficamos também era ótimo. Quarto bem espaçoso, confortável e aconchegante. O banheiro e o chuveiro também são muito bons. Água aquecida e bem forte. Achamos a pousada um ótimo custo beneficio em comparação a outras hospedagens disponíveis no centro da Lagoa. A pousada é muito bem localizada a poucos metros da Lagoa da Conceição e nem 5 minutos de caminhada do centrinho, onde há vários restaurantes, lanchonetes, mercados, etc. A proprietária Laura é muito gentil e prestativa e tem muitas dicas de passeios. A pousada empresta cadeira de praia e guarda-sol para os hóspedes e há até um caiaque e um stand-up paddle para ser utilizado na Lagoa. O café da manhã é muito bom. E ainda tem o simpático cachorrinho Sorvete. 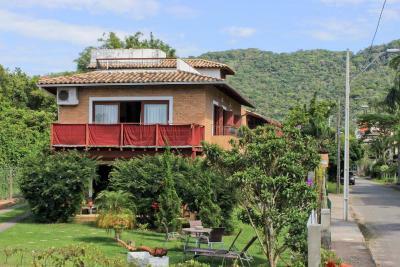 One of our top picks in Florianópolis.Located 5 miles from Iguatemi Florianopolis Shopping Mall, Pousada Casa da Lagoa has rooms with air conditioning in Florianópolis. All rooms have a flat-screen TV with cable channels and a private bathroom. The property is 6 miles from Campeche Island. At the guesthouse, the rooms have a terrace with a garden view. Some rooms include a kitchen with an oven, a fridge and a stovetop. The rooms feature a closet. 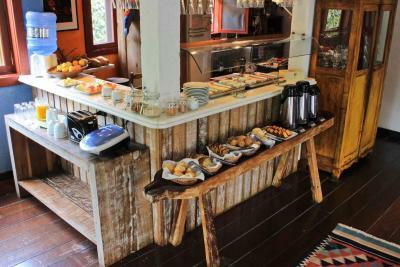 Pousada Casa da Lagoa offers a continental or buffet breakfast. Floripa Mall is 6 miles from the accommodation. 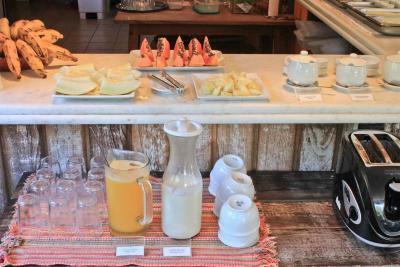 This is our guests' favorite part of Florianópolis, according to independent reviews. 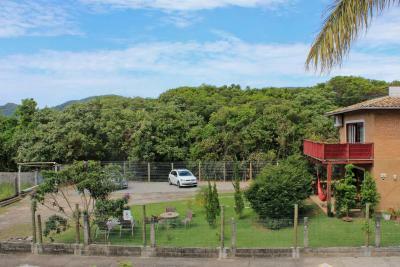 뀐 Located in the top-rated area in Florianópolis, this property has an excellent location score of 9.6! When would you like to stay at Pousada Casa da Lagoa? 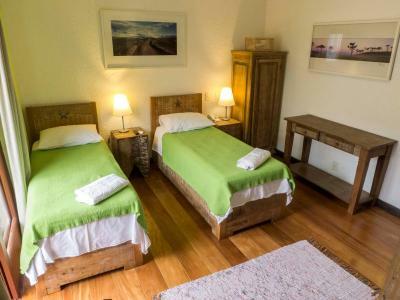 This double room has rustic wooden floors and furniture. 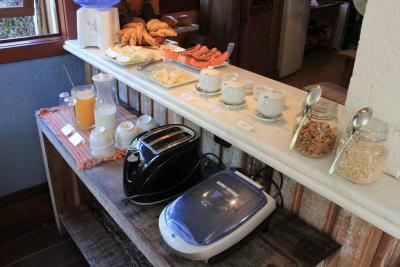 It is equipped with air conditioning, TV, safe and mini-bar. 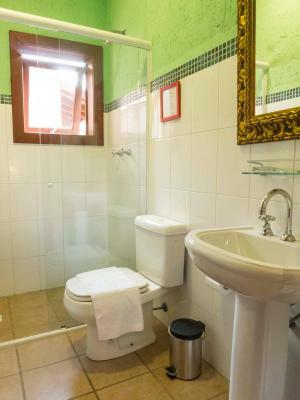 Private bathroom comes with a hairdryer and hot shower. WiFi is free. 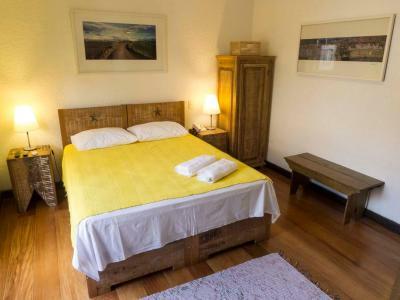 This room has rustic wooden floors and furniture. 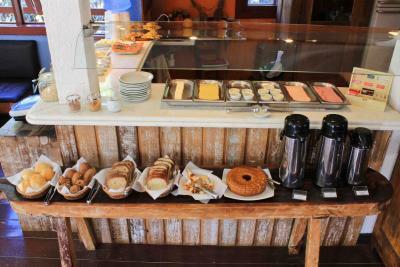 It is equipped with air conditioning, TV, safe and mini-bar. Private bathroom comes with a hairdryer and hot shower. WiFi is free. 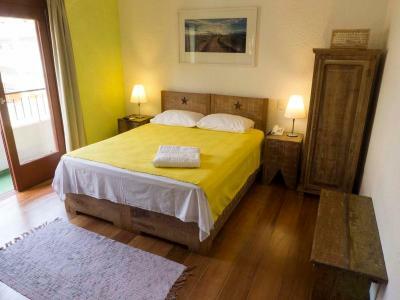 This triple room has rustic wooden floors and furniture. 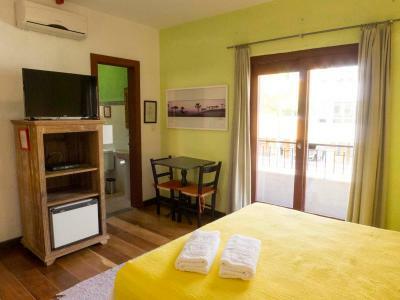 It is equipped with air conditioning, TV, safe and mini-bar. Private bathroom comes with a hairdryer and hot shower. WiFi is free. 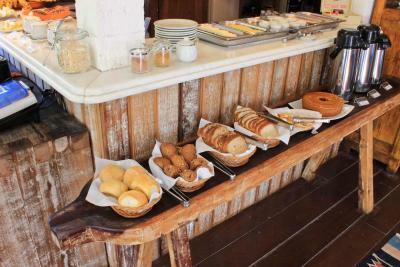 House Rules Pousada Casa da Lagoa takes special requests – add in the next step! One child under 6 years is charged BRL 80 per night when using existing beds. Pousada Casa da Lagoa accepts these cards and reserves the right to temporarily hold an amount prior to arrival. 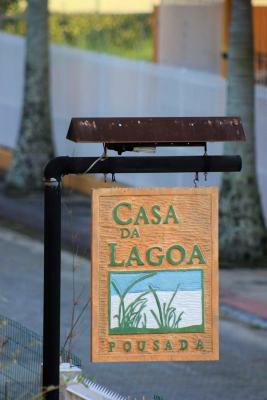 Please inform Pousada Casa da Lagoa of your expected arrival time in advance. You can use the Special Requests box when booking, or contact the property directly using the contact details in your confirmation. Nothing really, everything was as expected or much better! The amount of hot shower water is limited, But thats just good for the environment! Also I stayed in the spring with clouded weather , maybe that has something to do with it. Everything. Owner and staff were really friendly.